Calling all swampers and USFS certifiied sawyers! (That’s pretty much anyone who wants to use our trail system this year… if you can pick up sticks… you’re a qualified swamper!) Now it’s time to give a little #alpinelove back to the #stOakridge crown jewel trail! This will be a BIG weekend! 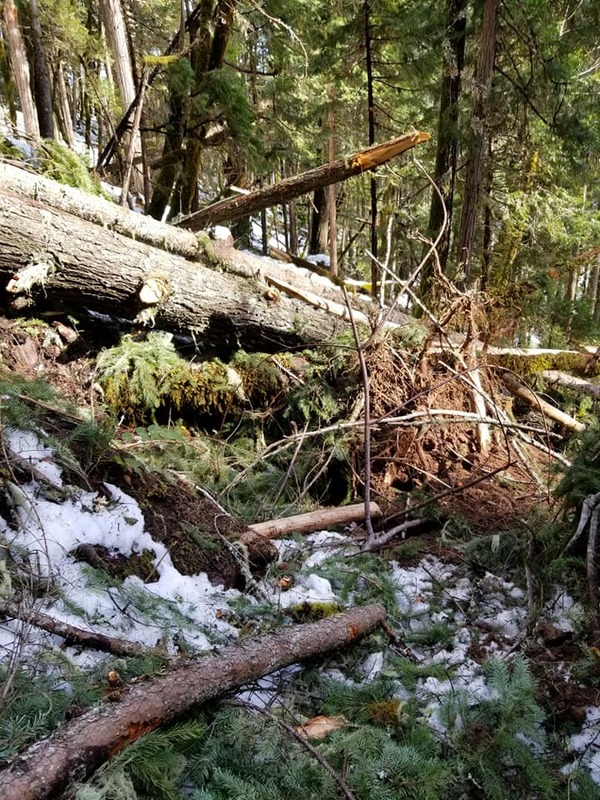 Mountain Bike Oregon will be joining our party to help make this one of the most fun trail-clearing efforts of the season! We’ll need as many folks as possible to help make our trails shine again on the Alpine system. Depending on the number of folks coming out and where the snow is, we’ll break up into four groups, tackling lower Alpine from the bottom up, starting at FS5828 and Alpine proper, and the Westfir Tie-trail from the Portal. We’ll also assess the need to begin clearing road access to the lower trail system, and take action as we have the resource to do so. All chain and crosscut sawyers must be USFS certified. Please remember proper PPE (including hard hats, safety glasses and chaps) and make certain your chainsaw is in good working order if you’re bringing one. PLEASE DRESS APPROPRIATELY for the weather. It’s cold outside – be prepared and dress in layers – include a hat, extra gloves, and extra socks. Wear waterproof, sturdy shoes. Bring a backpack with extra layers and warm work gloves, or glove liners and a water bottle and/or snacks to help you stay warm as you are burning calories. We’ll bring some extra snacks and warm drinks, but it’s important you take care of the basics! Tools: We will have handwarmers, extra hard hats and tools, but feel free to bring your favorite handsaw, loppers, or rake with you. Huge thanks to our friends at MBO, we’ll have an amazing taco feed after trail work on Saturday! Sunday’s effort will be shorter, but we’ll will still provide lunch treats and beverages for the after-party. Come one, come all… and let’s make our trails AWESOME again!